…the organization in which I worked from 1954-1968 provided me with both unique and invaluable professional and life experiences that have remained with me to this day. These played a major role in shaping my 44 years academic and medical career in the U.S.
…I view what we were doing in the health and medical sector, and what other JDC staff were doing in their respective social, human services, and educational sectors. . . , as programs and activities that formed the components of a holistic enterprise that was being implemented by JDC to contribute to the development of the communities it served aimed at becoming more socially and economically able and productive to meet the challenge of societal modernization. In the late 1940s-early 1950s, JDC launched a full-scale assistance program for Jewish communities in North Africa, Iran, and other parts of the Middle East. JDC helped provide these communities with a full range of services that cared for the poor, aged, ill, and the disabled. Behind these programs were field staff who worked around the clock and around the globe to ensure that the poor and the sick received the assistance they so desperately needed. Dr. Fred Tavill is one of those JDC field representatives. Dr. Tavill was born in Manchester, England. 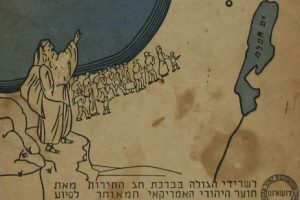 Growing up, he was heavily involved in Jewish educational, social, and youth activities and cultivated a strong Jewish identity. In 1949, he graduated from medical school in Manchester. In the summer of 1954, while working as a surgical resident in Liverpool, a job advertisement caught his eye. It read something along the lines of “The American Joint Distribution Committee is recruiting medical officers to work in Middle Eastern and North-African countries.” After deciding for various reasons that a continued medical career in the UK was not for him, and that working for a Jewish organization in international health (now referred to as “global health”) appealed to him more, Dr. Tavill decided to respond to the advertisement. 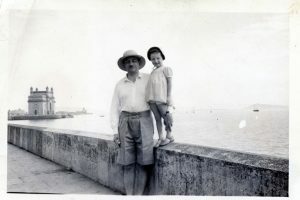 Dr. Tavill’s first position abroad for JDC was as a practicing doctor in Shiraz, Iran (which, at the time, had a population of about 14,000 Jews). 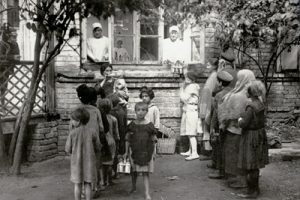 One of his first assignments upon arrival in Shiraz was to expand a feeding program using USDA (United States Department of Agriculture) surplus food and incorporating it into the existing feeding program there. In his post, Dr. Tavill saw patients at the health clinic while simultaneously developing that clinic, as he worked alongside social workers, nutritionists, sanitarians, and other paraprofessionals and technicians. JDC’s work impacted, he says, on tens of thousands of people – it was normal for the clinic to be used by over 100 people every single day. At the clinic, Dr. Tavill and his staff introduced sanitation and health programs, as well as nutrition programs for mothers and their infant children. Additionally, he instituted an antibiotic treatment program for trachoma, a kind of eye infection that, if left untreated, could lead to blindness. At one point, Jewish community representatives requested that JDC create communal baths, as there were no bathing services there of any kind at the time. Dr. Tavill was involved in the design and development of the baths, which he recalled were well-received by the community. 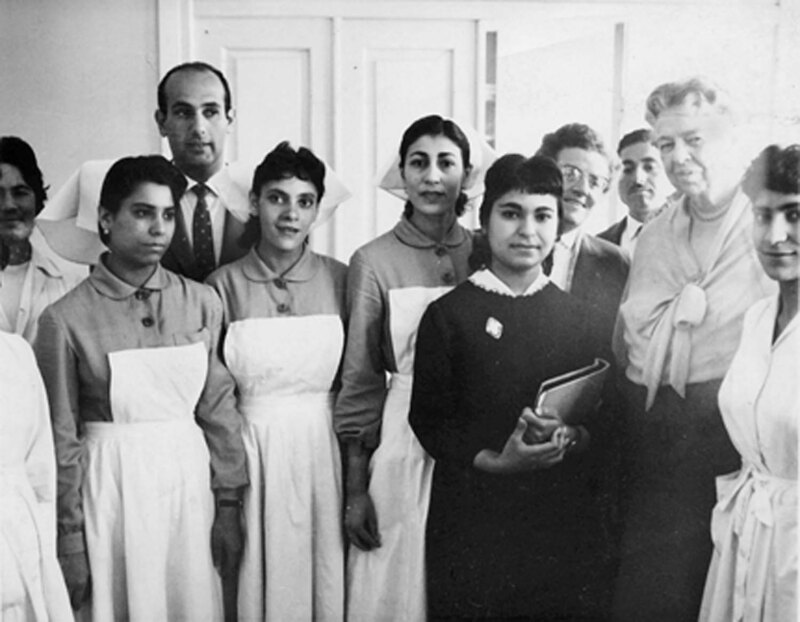 Eleanor Roosevelt pictured with Dr. Fred Tavill (back row, left) and senior nurses working at the JDC Shiraz Clinic and Health Center. In addition to his assignment in Shiraz, Dr. Tavill was called upon to work in surrounding areas. In Zargon, for example, a village about 18 miles away from Shiraz (with a population of a few hundred poor Jews), there were no resources whatsoever. In order to remedy their situation, Abe Loskove, JDC Country Director for Iran, asked Dr. Tavill to visit and see what JDC could do to help this population. As a result, basic health, feeding, and educational programs were introduced for the small, impoverished community. 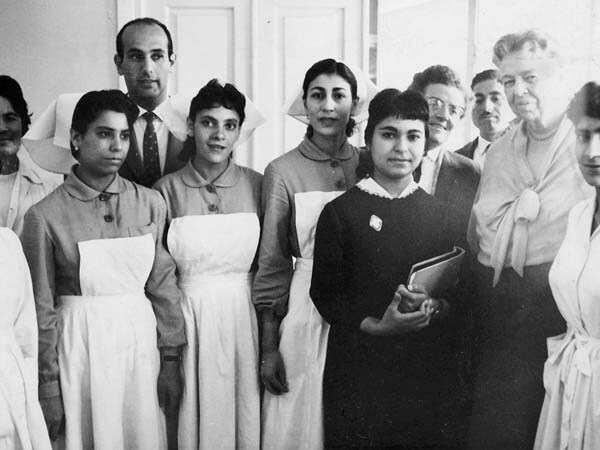 In 1957, after two years of work in Shiraz, JDC transferred Dr. Tavill to Tehran where he assumed mainly management and program development responsibilities as Director of Tehran’s Jewish Hospital and Health Center, and Country Medical Director. 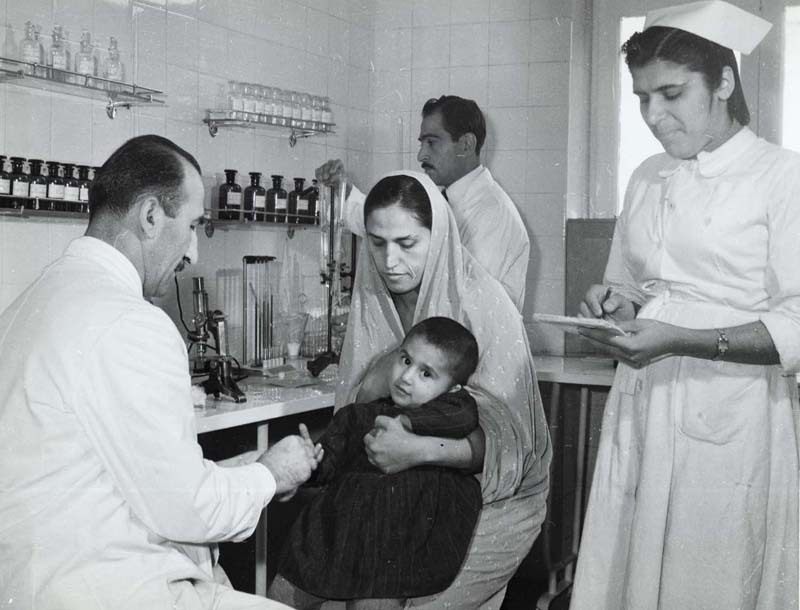 In 1959, JDC awarded Dr. Tavill a fellowship to attend school at the London School of Hygiene and Tropical Medicine, University of London, where he spent one year with his family. At the conclusion of his studies in 1960, JDC offered him directorship of JDC health programs in Morocco which, at the time, had a Jewish population of around 230,000 Jews scattered throughout the country. 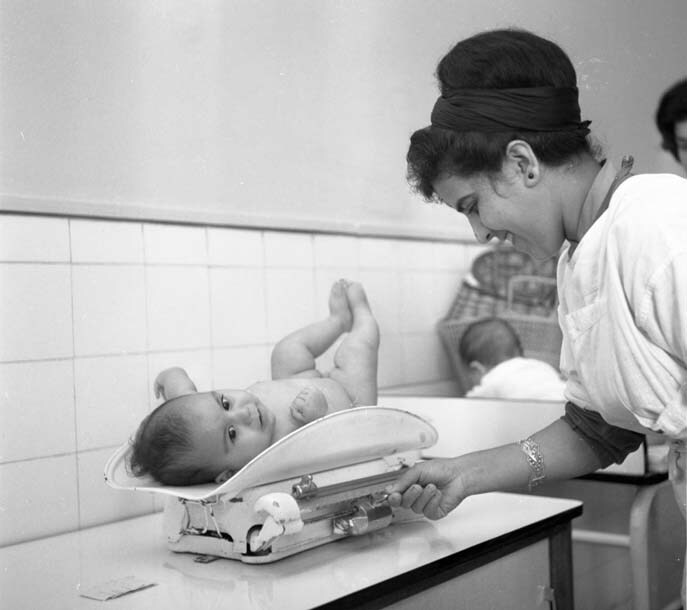 The Moroccan Jewish community already had a health organization in place – Œuvre de Secours aux Enfants, or OSE. Dr. Tavill was seconded by JDC to be the Director of OSE Maroc, and headed up JDC health programs in Morocco through the medium of OSE. Programs in Morocco were on a much larger scale than in Iran due to the larger population and included a variety of health, social, nutrition, education, and vocational training programs. A well-equipped lab provides the latest in medical care at the Jewish Hospital supported by JDC. Nurse weighs Jewish baby in JDC-supported OSE clinic. In 1968, after 14 years of working for JDC, Dr. Tavill decided to leave his post in Morocco and move to the United States with his wife and children. He first took a job with the Boston University Medical School as Medical Director of the Roxbury neighborhood health center where he developed programs for the underserved minority populations of Boston. These programs operated in various fields, including health, and were similarly modeled on the principles of JDC health programs in Iran and Morocco. He developed similar programs for inner-city populations as Associate Dean at the Medical College of Wisconsin in Milwaukee. In 2012, at the age of 87, he retired from teaching at Kent State University. Dr. Fred Tavill is a retired physician, former academician, and public health specialist living in Shaker Heights, Ohio. This story was shared with his permission.